Would you pay 3.5 million dollars for this photo? The U.S. Postal Service did! In case you’re not familiar with the story, here’s a brief overview before I explain what this means for photographers. When designing a new Forever stamp featuring the Statue of Liberty, the U.S. Postal Service made a costly mistake. They searched Getty Images to find a photo of the Statue of Liberty, and settled on a photo by photographer Raimund Linke. The problem? It wasn’t the beloved Lady Liberty standing proudly on Liberty Island in New York Harbor in New York City — which falls into the Public Domain Category. It was a replica — sculptured by Robert Davidson — found in Las Vegas, which is protected. On a side note, the Postal Service went on to say “We meant to do that.” Really? 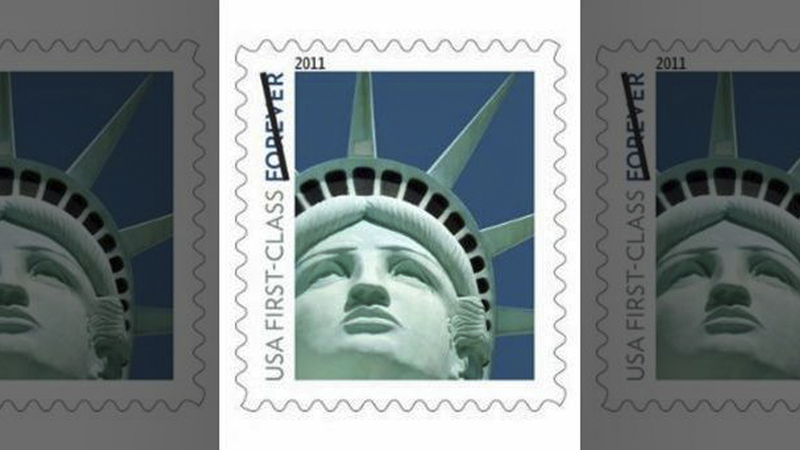 Robert Davidson sued the Postal Service five years ago over its 2011 forever stamp design. He claims that his work was an original design with a more “modern,” “feminine” and contemporary face. Federal Judge Eric Bruggink agreed and Davidson was awarded 3.5 million dollars — five percent of the 70 million the U.S. Postal Service made. Why didn’t the photographer get paid? A question you should ask is why didn’t the photographer get paid? After all, it was his image. The answer is simple. He has the right to photograph the statue, but that doesn’t give him the right to license the image for commercial use. Had he photographed the real Statue of Liberty, he could license the image for commercial use. If you are a photographer looking to get into stock photography, make sure you know what images to take. How can Getty license the image? Getty can license the image for editorial use only. The U.S. Postal Service purchased the editorial licenses but used the image for commercial use. This went against the licensing agreement. In all fairness to the Postal Service, I searched “Statue of Liberty” in the creative category on Getty’s site and selected Exclude ‘Editorial use only’ and four images from Las Vegas appeared — I couldn’t find the image the Postal Service used. The U.S. Postal Service could hire a photographer to take a photograph of the Statue of Liberty. This would ensure they have rights to use the image for the Forever stamp. This option can get expensive. A better solution is to use a stock agency such as Getty or Adobe Stock, but double check before licensing the image. It’s my opinion — and I’m only speculating — the postal worker that searched for the image did so because of the powerful name Getty has, not realizing they specialize in licensing editorial images. Had they done their homework, they would realize Adobe Stock specializes in licensing commercial images. I did a simple search on each site and I was amazed at the price difference. Adobe Stock charges $79 for an extended license where Getty charges $499. Getty has 4,813 images of the Statue of Liberty while Adobe Stock has 21,883 to choose from.